Today, there are over 1,000 nanomaterial-containing products being industrially manufactured with still more under development by academic researchers and small start-up companies. Nanomaterials have physical and chemical properties that are often different from their parent material, making them desirable for certain product applications. While the novelty and applications of engineered nanomaterials are well-understood, the understanding of their inherent toxicities and potential workplace and environmental impact is in its infancy. Jason M. Criscione, PhD is the owner and Managing Director of JM Criscione Consulting, LLC, a small independent scientific consulting firm that provides expertise in biomedical engineering and materials science and services for guiding the formulation, pharmaceutical development and clinical translation of microparticle-based, nanoparticle-based, and hydrogel-based drug delivery systems for the delivery of active pharmaceutical agents and biologics. Prior to starting JM Criscione Consulting, LLC, Dr. Criscione was the co-founder and Chief Technology Officer of an early stage specialty pharmaceutical company focused on developing drug delivery systems for the treatment of neurological diseases. Dr. Criscione received his PhD in Biomedical Engineering from Yale University in 2012. 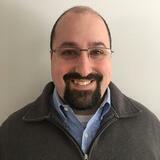 Mark Liffers is Practice Director of EHS Consulting at Triumvirate Environmental, where he provides on-site technical support and outsourced program management to a wide range of technology-based research, manufacturing and construction clients. Areas of technical expertise include: Biosafety, Industrial Hygiene, Occupational Health and Safety, Radiation Safety, Construction Safety, Risk Assessment, EHS Auditing and Emergency Management. Mark has a Master of Science degree in Industrial Hygiene from the Harvard School of Public Health.